And the winner is..... Wait, before we announce who our lucky winner is, I'll show some photos of our first ever blog giveaway experience as a family. Tatay prepared the names of those who joined while I took some photos. Rio, our lucky charm took charge of picking our lucky winner. Thanks to the 26 friends ( 24 comments in the blog and two in IG) who took time to read my blog post and joined the giveaway. I had to follow the giveaway rules so all the comments who were posted after the deadline were not included in the draw. Congratulations to May De Jesus-Palacpac! 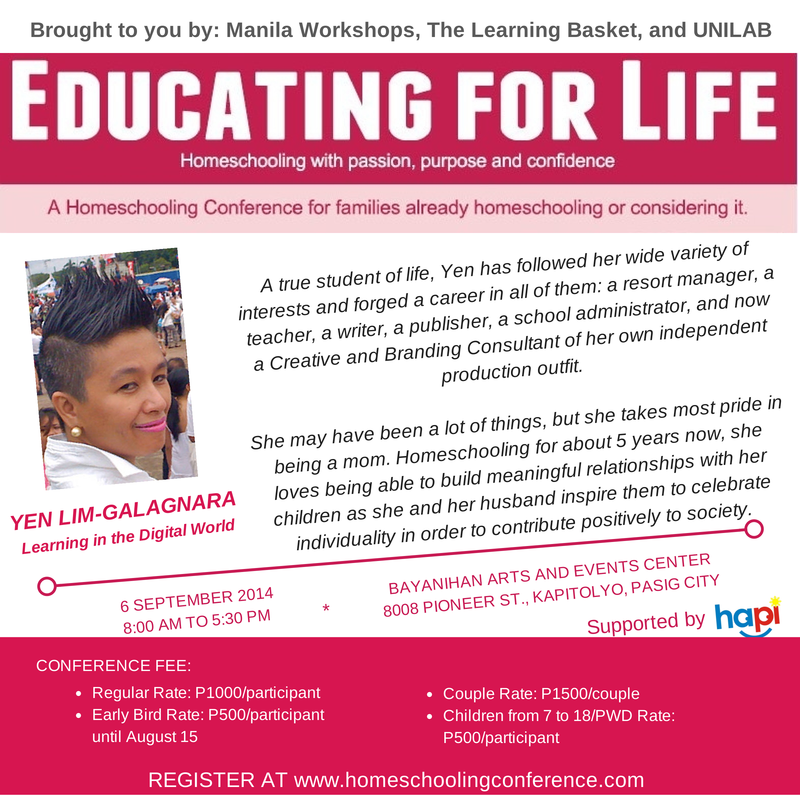 I attended the first two homeschooling conferences by HAPI. I even attended the launch of HAPI in McDo Alabang…I was wondering when this year’s home school conference would be…I’ve been encouraged so much in these conferences. I’ve met a a bigger and more diverse group of families, there were people we could really relate to. Iba iba naman kasi talaga. :) I recommend this conference for any parent, home schooling or not.
" Does Rio go to school?" " Not yet. He's only three." This has become my standard answer to that usual question we get from our friends and relatives. My reply has received mixed responses. Some take my answer as it is but there are a few friends who get so surprised and start to convince me to send my son to school.
" I am his teacher. We are into preschool homeschool." That's it. The word homeschool seems to attract a lot of questions to anyone who hears it. How do you do it? Uso na ba talaga homeschooling sa Pilipinas? How will Rio learn to socialize with other kids his age? Di ba pang-artista lang 'yan? A straightforward and simple "Bata pa si Rio." reply may spare me long interrogations from our friends for now. But when Rio turns four next year, my husband and I will definitely get more aggressive questions and pressure from them to enrol Rio in a "real" preschool. BE PREPARED. JOIN THE HOMESCHOOLING CONFERENCE! We plan to attend workshops, seminars and other learning events to help us become better teachers to our child especially in these crucial preschool years. We can also further build our confidence and resolve to homeschool our child even beyond the preschool years by listening to the inspiring stories of other homeschooling families. We value the people who share the same passion as ours and that is to be our children's first and best teachers. We do not only learn how to teach our preschooler but we also gain new friends and a whole community along the way. That's why we are so excited for this upcoming learning event "Educating for Life Homeschool Conference" on September 6 at the Bayanihan Arts and Events Center in Pioneer St. Kapitolyo, Pasig City. 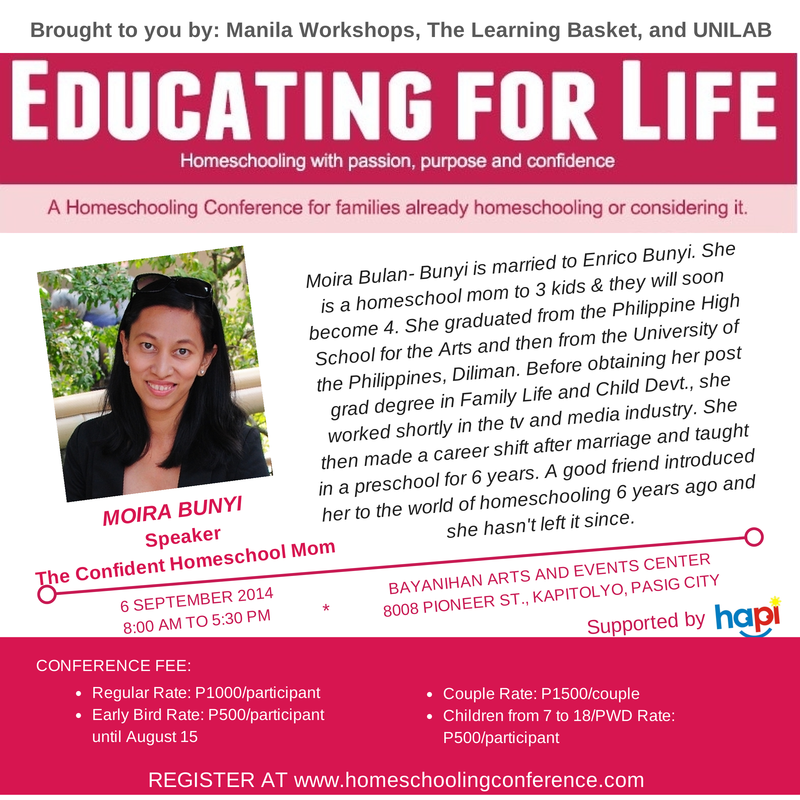 Manila Workshops, The Learning Basket and Unilab will gather passionate homeschoolers to share helpful tips and inspiring stories based on their rich homeschool experiences. We are planning to homeschool Rio during his preschool years but we are still open to enrolling him in a regular school when he turns five. We are looking forward to these particular discussions to help us make crucial decisions with regard to our child's education and future. 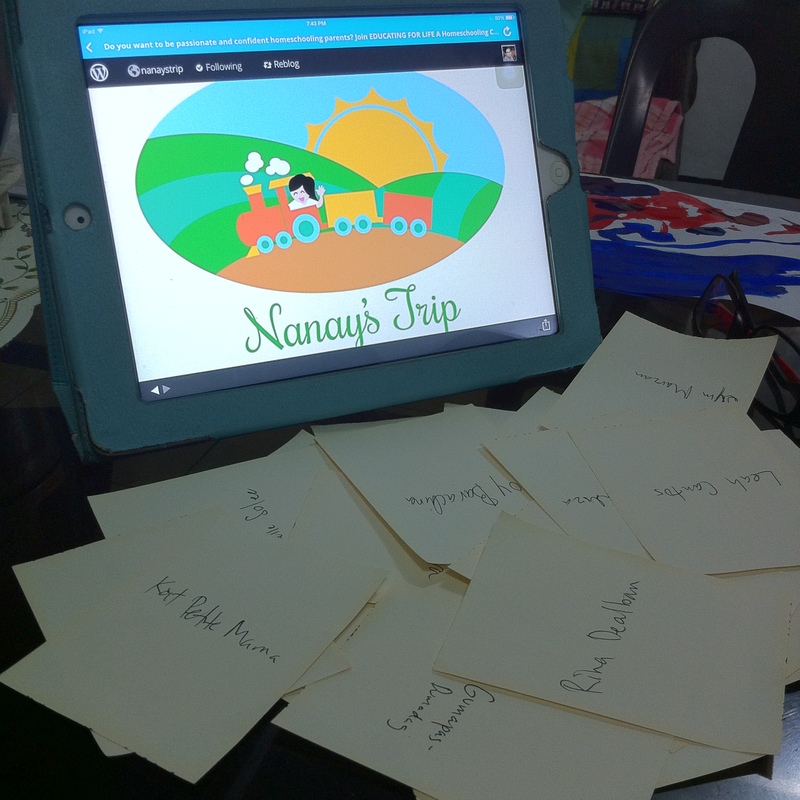 Nanay's Trip will hold a simple giveaway to all parents who are already homeschooling or are considering to plunge into it. 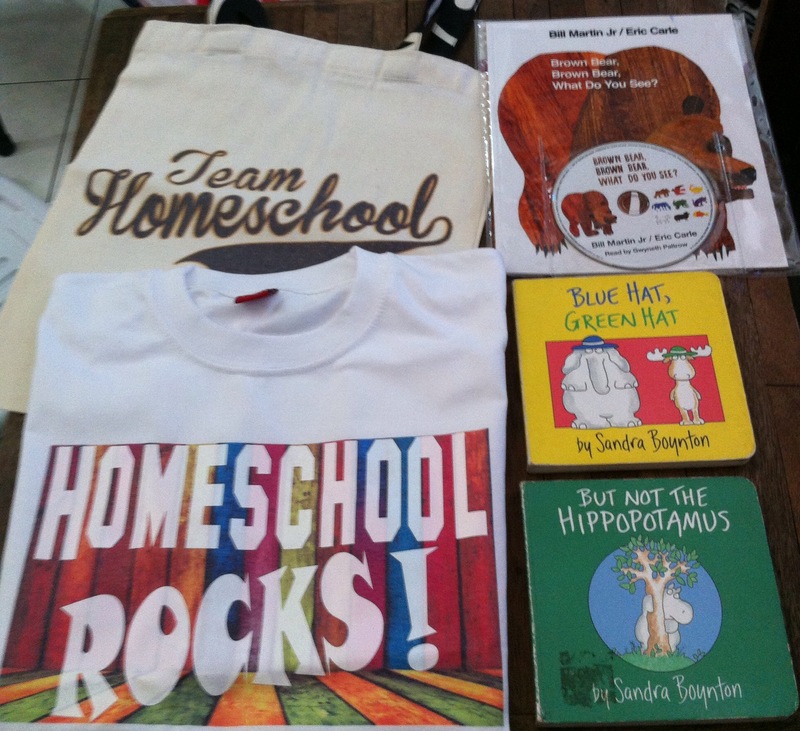 A few months ago, our small digital printing business Maestro Rio Shop launched our Homeschool Rocks series to help spread awareness on homeschooling among Filipino families. We consider the coming homeschooling conference to be a milestone in our family so we thought of sharing some of our products to our new community. 1) Just leave a comment below and you are in! Please include your email address too. 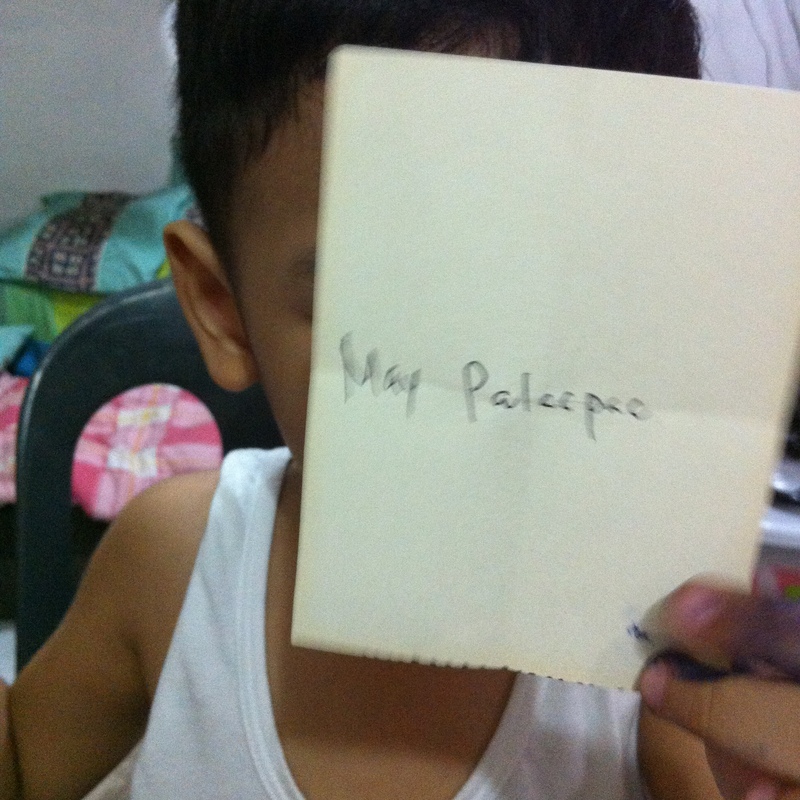 Rio and I will raffle your names in the traditional way because Nanay is too lazy to learn how Rafflecopter works. 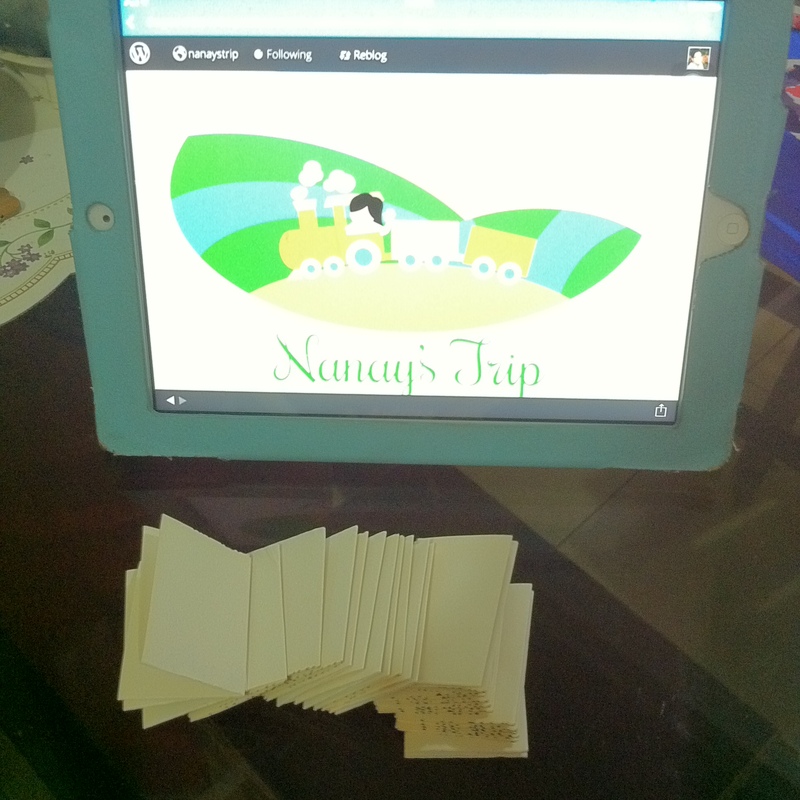 2) You can also post a comment on my Instagram account (Hope you follow @nanaystrip in IG). 3) One comment, either on my blog or IG, gives you one (1) entry. You can post comments until August 29, Friday, 11:59 p.m.
4) I will announce the winner on August 31, Sunday! 4) I hope that the winner attends the homeschool conference on September 6 so I can personally hand over my simple presents and share some homeschooling stories too! Good luck everyone and happy homeschooling! Hi! I would like to join, but unfortunately would not be able to attend the Homeschooling Conference, it is my youngest daughter's birthday and we have planned an activity/field trip for that day. I really really want to win. I am currently home schooling my 2 children. My son is studying at home because there is a problem with their school. It was featured in the news that Villamor Air Base Elementary School was about to collapsed because of the cracks made by the earthquake last month. Students are relaying on modules and pass it every friday. The school admin have no idea when it will be safe to go to school. I think they have to rebuild it and may take months or a year to finish. I really need this so bad for my 2 kids and I have a little idea about home schooling. I want to pursue this with my 3 years old daughter. I have created class outline base on her personality (more on play base) I made improvise reading materials, inexpensive arts and crafts, and visual aids -my own hand writing for our daily class. I want to know more from other moms experiences and learn techniques suitable for my children different needs and ages. I have a mommy friend who started her daughter homeschooling at an early age. Now that her daughter is 2 years and half she can read 5 letter words even more randomly. I have thought my daughter some sight words as advised by my mommy friend. Not only passion but also commitment with homeschooling to make it effective and FUN! I would really love to here your stories about homeschooling. A newbie here and dnt know if im doing it right with my son. I want to learn more about homeschooling and its technicalities. I also have considered this, but it's tricky to go through when my hubby's not into it. Those questions are also what he asks me, especially "Are you qualified?" Momma Kat! Thanks for joining. Super excited to finally meet you. Kitakits! Hi Rina! Kumusta, may result na mga giveaways? I hope you get the "sign" so we can meet and chat about our homeschooling blues. Hi Shirley! Thanks for dropping by and joining the giveaway. Are you attending the conference too? Hope to meet you soon! Learning is so much fun when you are part of a community who share the same passion and purpose. Hi Mommy Teresa! Thanks for joining! We also love Sandra Boynton. The two books included in the giveaway package are my son's first and most loved Boynton books. Hope you can attend the conference. See you! Just want to encourage you. I had a similar question last year when I attended the first Homeschool Conference. I asked, "How can we equip ourselves so we can homeschool our kids?" I was encouraged by Mariel's answer: "Please don't think you're not equipped and able (she addressed this to all of us in her group) You are, actually. But there are resources that can help you. Don't worry I'll send all of you an email with links that you can use as resources." As Nanay Nadia mentioned, this conference will not only forge new friendships but also let you in to a supportive community. Thanks for sharing your thoughts ( and resources, too!) Mommy Joy! I also homeschool my kids, they are only 3yrs & 5mos and the other one is 1yr & 10mos. It's nice to know that there's already an alternative to schooling these days. Why not homeschool if your home is perfect for this. All the best to homeschooling conferences like these. I attended the first two homeschooling conferences by HAPI. I even attended the launch of HAPI in McDo Alabang...I was wondering when this year's home school conference would be...I've been encouraged so much in these conferences. I've met a a bigger and more diverse group of families, there were people we could really relate to. Iba iba naman kasi talaga. 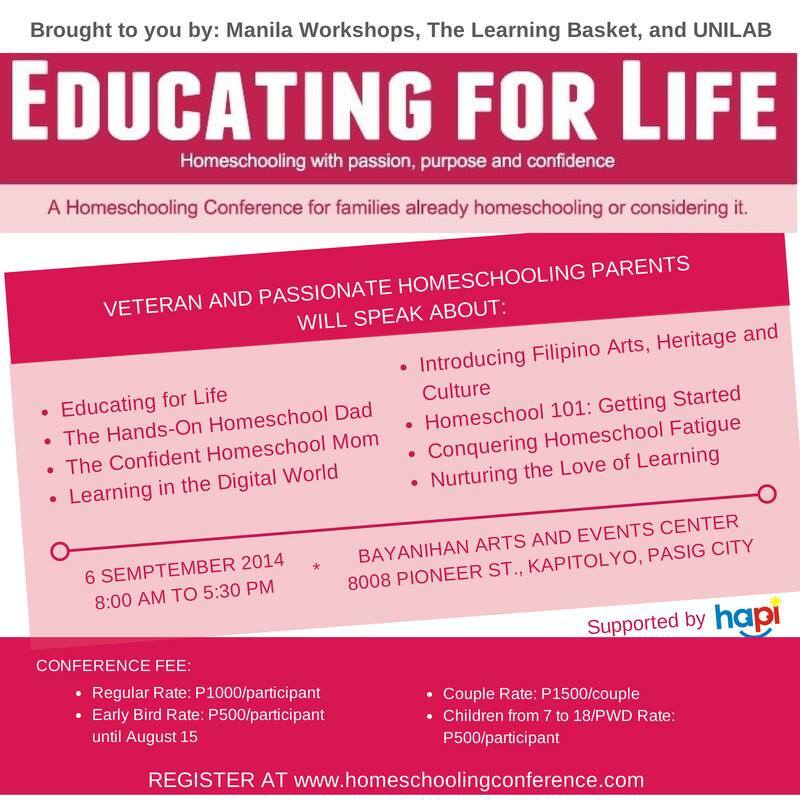 :) I recommend this conference for any parent, home schooling or not. Isa ang bullying sa mga fears ko sa trad school. We plan to homeschool our son in his preschool years lang kaya if we'll stick to our plan, maencounter din namin ang mga fears na ito - bullying at kung anu-ano pa. Good luck sa atin! Thanks for dropping by. I salute moms who can home school. I have to decide in a year if I can do the same. Maybe if hindi na ko working full-time. 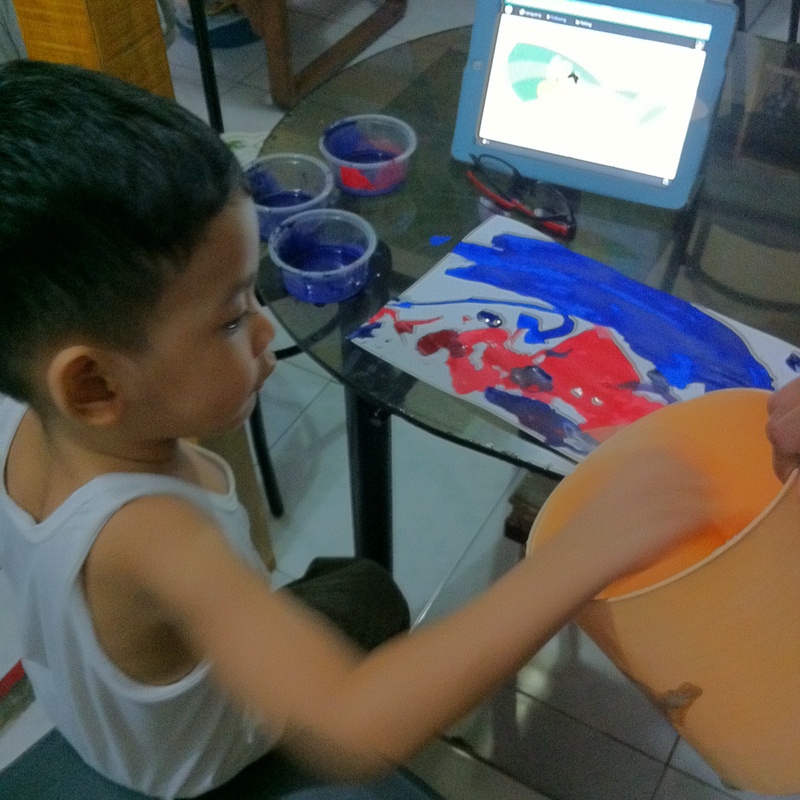 For now, baby teacher muna. Then prepare as preschool teacher. One level at a time. Nadj, I always see homeschooler moms as strong and brave. My son goes to traditional school, I am the one who tutors him. It is already a great challenge for me - to not walkout when my son starts whining -with all the reasons available in this planet. I salute you homeschooler moms! At one point, naging interested ako sa homeschooling. But in my case, developmental delay ang condition ng anak ko because of her seizure disorder. She will have to undergo many therapies pa.. I'm determined to homeschool (at least for preschool; we'll take one year at a time) and am now so busy looking at different curricula. I know most of you will suggest that I don't need a curricula, but I think I'd need it hehe. Nadia! Wow, Finally, I will meet you na in person! I will be there too..:) I started homeschooling my kids this year lang, and yes mahirap siya, so attending this event, would definitely, help us! See you soon. I would have really wanted to join this Mommy Nadia but perhaps I'll just wait out til next year. Malayo pa naman ang Cebu. Hehe. I have always been interested in home schooling and how it works. Lalu na sa dami ng benefits na kasama. I wanna win hehe. I've been reading/hearing a lot about homeschooling. I would love to know more about this. Planning to have a baby by 2015...this may be helpful in the future. I've always wondered about homeschooling. I really don't know if I can do it. We tried homeschooling for a year but decided not to continue. I think it's because my children were already in their tweens when we tried. I'm hoping to try it with my youngest though soon.